Designed especially to complement the mild flavor of seafood, but perfect pairing for those meats of the land. This seasoning provides a BURST of pepper and herb flavor when used as a rub or marinade. 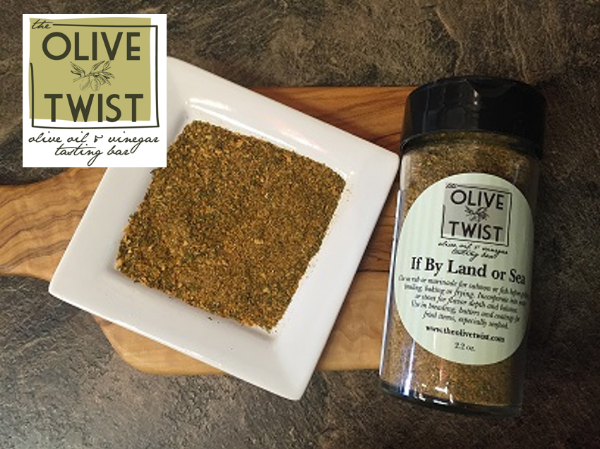 Notes: Pepper, herb flavor Twist: Use as a rub or marinade for seafood, meat or vegetables before grilling, broiling, baking or frying. Incorporate into soups or stews for flavor depth and balance. Use in breading, batters and coatings. 2.2 oz glass bottle with pour and shaker option.